Zingy BBQ “Monkey Gland” Sauce. This is a Zingy BBQ take on the famous Monkey Gland Sauce (contains no monkeys or glands!!) A sauce well known by many South Africans and found in most steak houses throughout South Africa. By using specially selected ingredients, it makes this unique BBQ or Braai sauce. 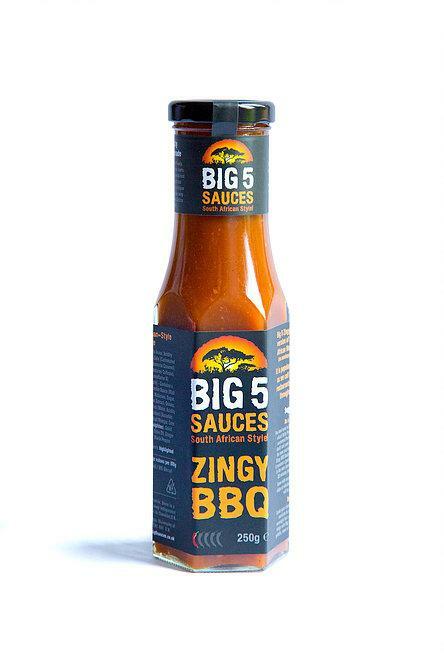 With a little sweet and spice thrown in, the Zingy BBQ Sauce makes a perfect condiment to slow cooked meats, bacon sandwiches, breakfasts or it can be used as a marinade for perfect sticky ribs. This product contains no nuts but is made in an environment where nuts are handled.